Opening: September 19th, 7.30 p.m. While it has long been impossible to imagine everyday life without the digital technologies that have increasingly even been penetrating into our personal spheres of life, it seems as if the occupation with these technologies is still in its infancy from an artist perspective. In the process, digitality, computing and network culture not only have a massive impact on the production of information but also on how it is distributed and perceived, and consequently on its general structure, increasingly determining our basic understanding of it. However, it would be too short-sighted to believe that art can be expanded through digitality, computing and network culture – in the sense of an exponentially widened material palette – without this expansion in turn undergoing a fundamental change as regards its production and reception. In fact the actual perception of art, that which was once characterised as an aesthetic experience, stands in contrast to the acclimatisation to its increasing medialisation. In terms of quantity, this has occurred to such an extent that in the meanwhile the essence of art and its possible determination can also be completely reconfigured as regards quality. In Tim Berresheim’s work as an artist, the role played by the computer as an artistic tool is less important in and of itself. He concentrates his artistic project instead on digitality, computing and network culture as his field of exploration and operation. Alongside his artistic work in the traditional sense that is produced exclusively on the computer, his endeavours also include wide-ranging music producing, label and publishing work. Self-organisation is an important aspect here as well as the integration of collaborative, group dynamic processes, which are not least reflected in his long-time (co)-management of diverse project spaces and the recently established “Studios New Amerika” and the “Institut für Betrachtung” in Aachen and Cologne. Auge und Welt offers the most comprehensive look to date at various aspects of the projects decidedly developed by Tim Berresheim since 2003 as an oeuvre. The exhibition employs diverse components that reference each other both in terms of form and content. Different picture formats are consequently arranged on wallpaper conceived especially for the exhibition situation, forming compositionally compressed inserts within a visually expansive narrative framework; a functioning stage, sculptural variables as well as a sales display with a broad palette of merchandising articles expand the tableau into an installative whole that by no means conceals its fragility but helps instead to more fully sharpen one’s attentiveness to specific details, to specific functions. The precarious relationship of the whole to the detail simultaneously characterises Berresheim’s digitally generated images, also by means of the simulation programs employed in the natural sciences and military technology which do not want to forego the aspect of craftsmanship in the drawings and graphic designs, subcultural references to comics and tattoos, visions or drug experiences. The overwhelming incisiveness of these pictures in which photographic recordings and digital emulated motion processes merge with each other as computer generated (CGI) motifs and printed or exposed as a specific picture format with high-res rendered compositions virtually seem to want to compete with reality. The fascination in the constructivist potential, the algorithmically perfected “as-if” of digital technologies balances out the unease about its long active reality-forming effects. 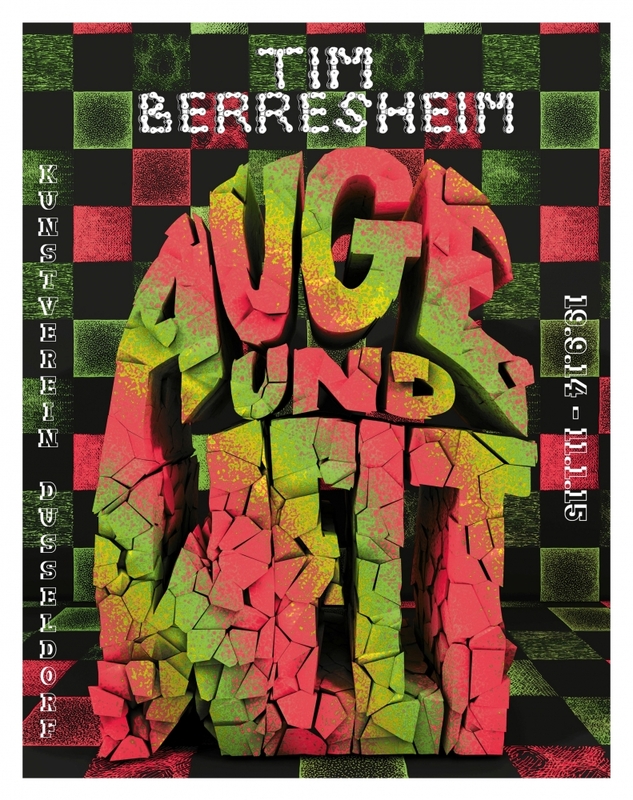 It is therefore also more than subcultural folklore when Berresheim holds firm to the cooperative moment, leaving the door of his artistic practice shaped by Punk’s DIY principle open for group dynamics, improvisation and self-organisation. Tim Berresheim (born 1975) lives and works in Aachen.